When I was younger I had a motorcycle, and used to revel in the late night rides down I-64 from college to home. The ride took about an hour and a half, but all I can remember of those nights is a blur of freedom and excitement. Now, when I look at motorcycles, and motorcyclists all I can think about is how poorly motorcyclists fare in accidents, particularly motorcyclists my age. In every motorcycle case that I've handled in the past 27 years, I've always been surprised at the amount of damage, and the severity and complexity of injury suffered by the motorcyclist. Many times the car sustained little to no damage, and yet my client, the motorcyclist, had his life reworked in an instant because someone didn't bother to check their blind spot before changing lanes, or failed to see the motorcycle before turning. 42% of all two vehicle crashes involving a car and a motorcyclist involve a vehicle turning while the motorcyclist is going straight, passing, or overtaking the vehicle. (Read blind spot). Fully, 11% of all roadway accidents involve motorcycles. Head injury is the leading cause of death for motorcyclists. Between 1997 and 2005, motorcycle registrations grew by 63%, but fatalities increased by 120%. A motorcyclist is 35 times more likely to experience a deadly accident than those in a passenger car. 34 states saw a rise in motorcycle fatalities in 2012. In 2012 alone, 4,957 motorcyclists were killed, a 7% increase from 2011. I've handled many motorcycle injury cases in the past 27 years, always for the motorcyclist, and always with great results. Call the right lawyer for the right results. ATVs, 4-wheelers, quad-bikes, what ever you want to call them are designed for fun, but they are also designed to maim and kill. ATVs have a deceptively high center of gravity, and as a result, in the hands of an untrained driver, are very prone to tipping, and rolling over. This is not a good thing, as many ATVs tip the scales in excess of 800 lbs., which, coupled with the fact that many riders use ATVs without wearing the proper protective clothing, could easily put a thinly clad person in a wrestling match with a red hot, 800 lbs., roaring machine. Who will win that match? For all their weight, and their increasing engine sizes, ATVs are equipped with surprisingly small, and inefficient brakes. Additionally, because they need to provide traction in rough terrain, ATVs are designed with a fixed rear axle. A fixed rear axle makes an ATV very difficult to control on paved roads. Turning with a fixed axle requires special training. When you combine the failings that are built into an ATV's design, along with lack of training, and the fact that we tend to dismiss ATVs as being recreational vehicles and therefore somehow less deserving of our care and concern, it's no wonder that ATVs, as of 2010, resulted in more than 1000 deaths nationwide, and more than 115,000 visits to the Emergency Room, with children making up 17% of all deaths, and 25% of all emergency room visits. In West Virginia, despite the fact that ATV manufacturers have specifically declared that their vehicles are not for use on a paved road, West Virginia Code Section 17F-1-1 permits the use of an ATV on any paved road so long as it only has two lanes, and is not divided by a center line. The driver of ATVs, like motorcyclists, involved in a wreck with a car always seem to come out, dramatically, on the short end of the stick. What would his head look like without the helmet? 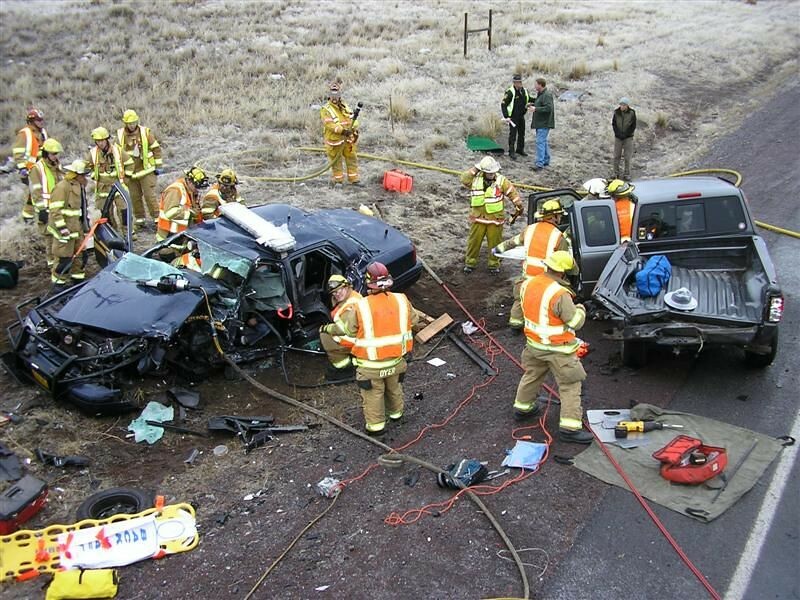 Motorcycles, and motorcyclists do not fare well when put up against cars and trucks. Level the playing field, hire the right lawyer for the right results. While motorcycle wrecks are generally due to drivers in cars not paying attention, ATV accidents have more to do with riders either not having the proper training, ignoring their limitations, or the limitations of the machine.